Remember back in 2005, when you used to buy CDs? Maybe you still do, say, when you go out to a show to support a band. Then, like most other human beings in the modern world, you come home, copy the music to your computer, and shelve the archaic optical disk forever. But if you live in the UK, there’s a teensy problem: A high court in London has just ruled that when you back up your lawfully purchased CD, you’re potentially “harming” the rights holders, calling into question the legality of the nearly universal practice. I think my brain just exploded a little reading that back. Here’s how the drama started. 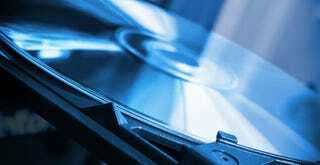 Back in October of 2014, the UK’s intellectual property office rendered a long overdue update to its copyright law, allowing people, for the first time, to legally make MP3 copies of CDs they had purchased for their personal use. (We’ve got a similar law on the books in the US). The extremely narrow measure—it only applies to content acquired permanently, and only for private, exclusive use—was deemed to cause “zero or insignificant harm” to the music industry. Sound logic, as everybody had already backed up and binned their CD collections long ago and didn’t realize there was an issue. Surprise! The music industry disagrees. In a challenge made last November, businesses including UK Music and the British Academy of Songwriters claimed the new measure would cost the rights owners tens of millions, and demanded that a compensation scheme be introduced. That’s right—they want more money for content you already bought, and that, if you give two shits about, you’re going to backup before CD drives disappear forever. On Friday, a high court judge ruled in their favor, stating that the government didn’t have enough evidence to conclude that copyright holders would suffer no financial losses. But, one way or another, it’d seem that the end is nigh for the short-lived and draconian CD ripping measure. Great job, record biz. Now, if you guys could put some of that litigious energy into innovating new ways to stay relevant in the digital age, maybe you’d stop hemorrhaging customers.